Description: That ace he keeps in the brim is just a distraction. He's got another one up his sleeve. 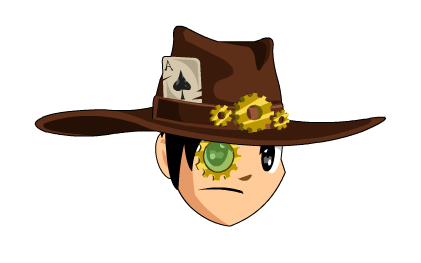 Note: Also see Gearslinger Locks.